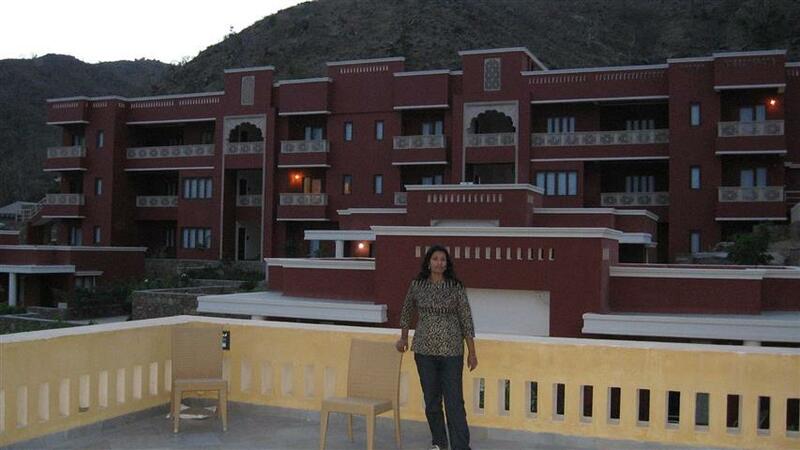 No state in India is rich in magnificent palaces and forts, colorful festivals and bazaars as Rajasthan. We decided to explore the hilly wooden south of Rajasthan which is rich in palaces, lakes and forts of Udaipur and the spectacular Jain temples at Ranakpur. Enroute Jodhpur was an added advantage we had. We reached Jodhpur at around 5.30pm. Hotel Rajputana Palace was quite a good hotel with nice large rooms and good service. Their food and snacks are worth mentioning. Well that eve we had a stroll at the local market there. Handicrafts like tie and dye fabric, embroidered joothis (leather shoes), lacquer ware, Jodhpuri baggy trousers, carpets, antiques and marble souvenirs from Makrana famous for its marble quarries which supplies marble to the whole country are the major ones to shop for here. Well I think I left out mentioning the name of the Bazaar its Sadar Bazaar. It lies in the heart of the old city which is surrounded by a 10 km wall pierced by 8 gates. Clustered around the clock ghar or the Ghanta ghar (built in 1912) we also saw the Taleti Mahal This was built in the 17th century and the curved balconies are supported by temple pillars. 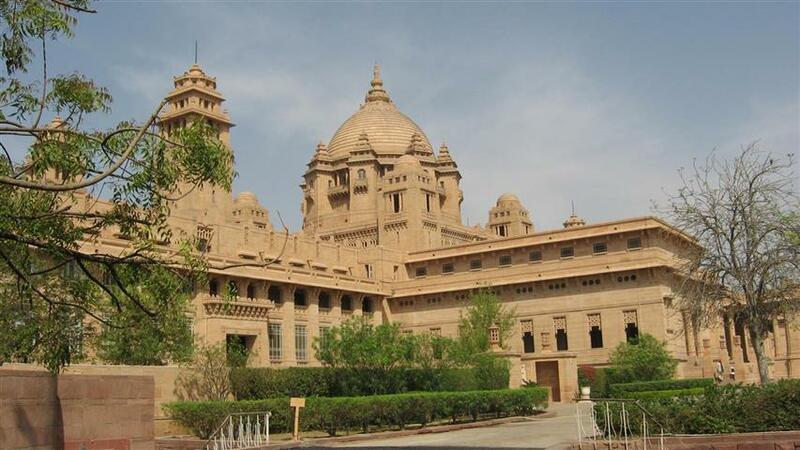 It is now a school, there were also various houses built in red sandstone beautifully carved. 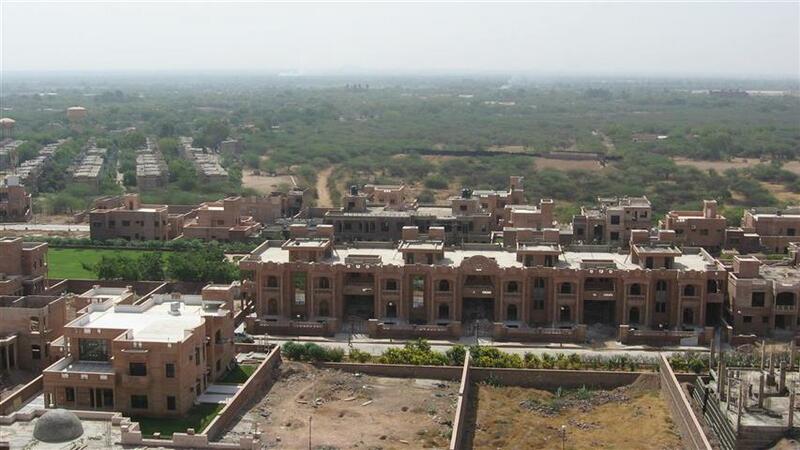 Probably these houses and the vibrant colorful bazaar lend to the beauty of Jodhpur making it more and more attractive. Its better to walk around with your SLR to capture moments of these beautiful city. The next day we set out for the Umaid Bhavan Palace (3 kms from our hotel). The palace is a museum and a five star hotel now, beautiful and neatly maintained built in creamy pink sandstone and marble this magnificent palace hosting 347 rooms including 8 dining halls, two theaters, a ballroom, lavishly decorated reception halls and a vast underground swimming pool (well these details were told to us by the guide, ) no entry for visitors. We browsed through the photographs of Maharaja Umaid Singh, who commissioned the palace to create jobs for his famine struck subjects. It begun all back in 1929 and it tool 3,000 men and 15 years to complete. Well quite a long time but the beauty of Umaid Bhavan speaks it all. 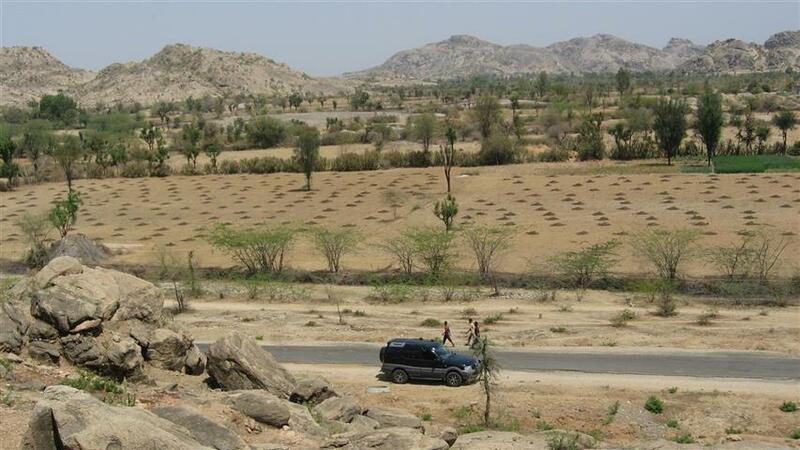 It is said that a 19 kms long railway track was even laid to bring sandstone from the quarry. The grandson of Umaid Singh Gaj Singh occupies a section of the palace while the rest as I told you earlier is the five star hotel owned by the Taj group. The palace museum has an impressive collection of decorated weapons, watches, fantastically shaped clocks, paintings, French furniture and porcelain. There is a guide to help you through and gives you information about the various items displayed. There is the Ajit Bhavan which is lined with antique shops. 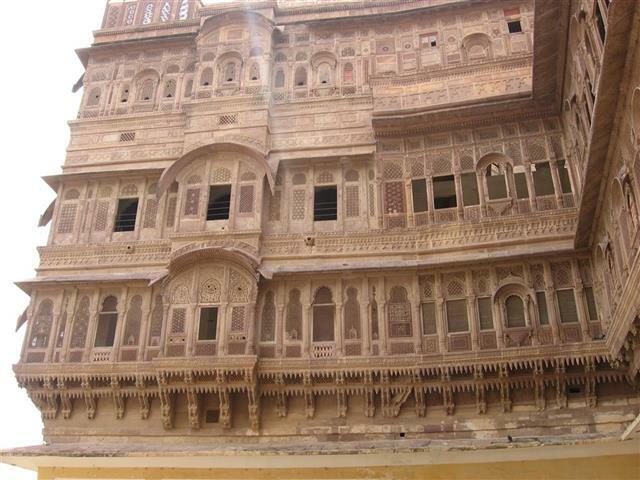 The Mehrangarh fort (5 kms away from jodhpur city) was our next destination. As we approach the fort it turns out to a gigantic structure perched on a hill. Well rising sheer out of a 410 ft high rock Mehrangarh is truly majestic to look at. Built of sandstone the 5 kms long has 4 gates approached by a winding road. Built in the mid 17th and 19th centuries and founded by Rao Jodha hosts a beautiful museum and well as flamboyant palaces within. Not wanting to exhaust ourselves more we took the easy way to the fort ie the lift. In a few seconds we were on the terrace of this huge fort with a few old cannons perched on them. The blue washed houses of Brahmapuri village clusters below the ramparts of the Mehrangarh fort was beautiful from here. Inside the fort were palaces decorated with lattice stone screens richly gilded and painted. The Jaipol is now the main entrance which was built in 1806 by Maharaja Maan Singh to commemorate a victory in battle. The Sileh Khana had weapons, shields and amours. The Takhat Mahal had a wooden ceiling and was the favorite retreat of Maharaja Takhat Singh and his 30 wives (unimaginable). We saw Moti Mahal which was the hall of private audiences, then Phool Mahal which was used for royal celebrations, Nagnechiaji mandir which has a 14th century image of Godess Kuldevi the family deity of the rulers. The museum also had one of the fantastic collections I have ever seen. 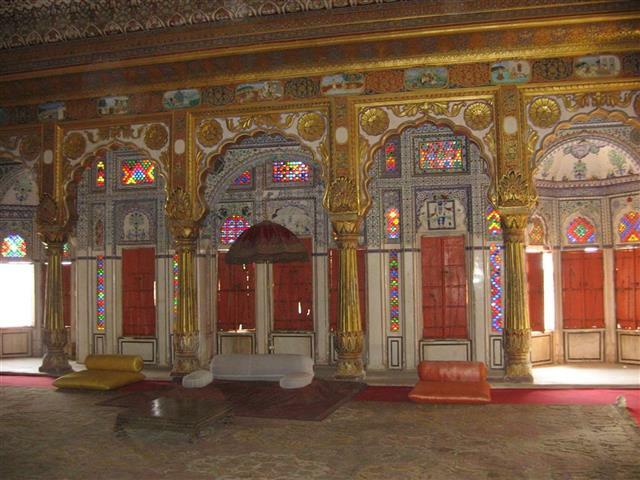 The Palki Khana has a collection of richly gilded palanquins. The Howdah gallery had elephant howdas, there is a 17th century howdah made of silver given as a gift by Shah Jahan (the mughal emperor). Another palanquin covered in golden leaf as old as 1730 is in the Daulat Khana. 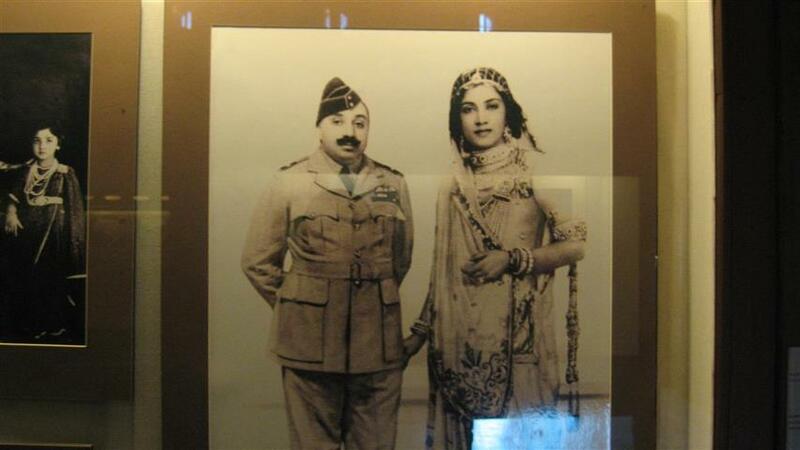 The Umaid Mahal has beautiful paintings of the life of rulers and their pictures. 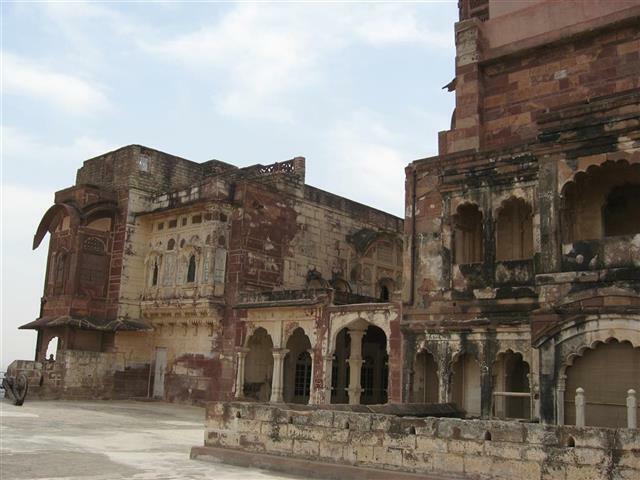 The Jhanki Mahal was where the women of the royal zenana would peep through to watch ceremonies or festivities in the courtyard below. Then to Moti Mahal, where on the way I saw a palmist foretelling the future of a few visitors. Moti Mahal has a good collection of Rajasthan turbans and instruments of folk music. By now we were dead exhausted and our water bottles were empty. At once we realized that were to take some rest and so settled down in the benches placed there. 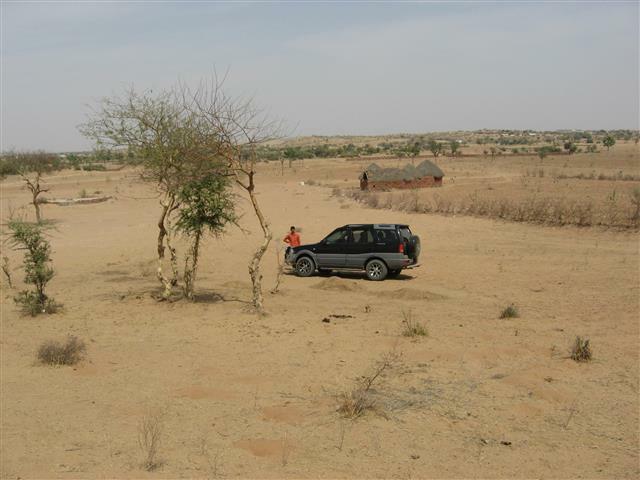 The next day wanted to have a glimpse of the desert, on enquiring the hotel guys told us about Osian 64 kms away to the north west side where there are tents built and one could drive into a small dune of the sandy desert. 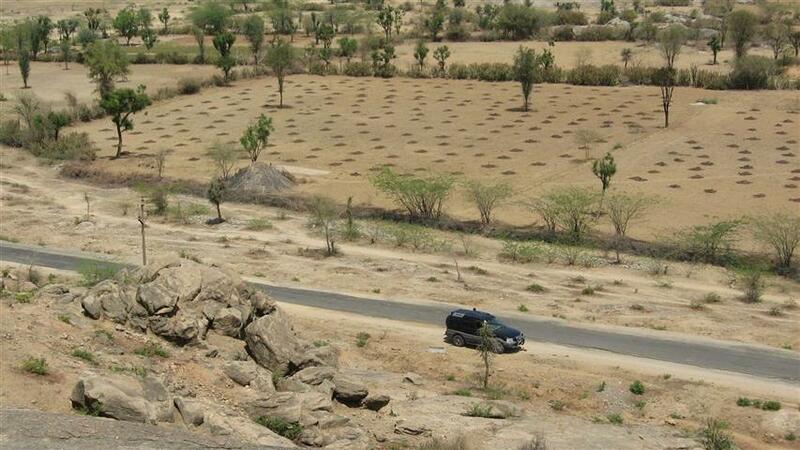 Well, arid barren land with deers and black bucks hopping around us we reached Osian in the afternoon. We went on being a bit experimental as to drive our SUV to one of the sand dune, tempting an Alto behind us to follow our path. Well this place also has a lot of temples. Once in the small road side dhaba place gulping down cold water the restaurant owner told us that there are 16 outstanding Jain and Hindu temples here. They were built by the rich traders when Osian was once an important stop on the caravan trade route to Central Asia. Hearing a lot about the temples from him we too went on to have a look at these impressive 8th century Mahavira temple with 20 carved pillars holding the main portico. The Sun temple built in the 10th century, and the 12th century Sachiya Mata Temple has an approach through beautifully carved arches. This temple is famous with infertile women who believe that Sachiya Mata an incarnation of Goddess Durga does bless them with children. Back from Osian we went to Balsamand Lake and Palace (6 kms from Jodhpur) but it has been now converted to a hotel hence there is no entry. We saw Jaswant Tada which is a 8 pillared chhatri of Maharaja Jaswant Singh II. People believe that the Maharaja has a healing touch and come here with prayers and flowers. There are other cenotaphs also here. The next day we had a surprise visit (not scheduled earlier) to the Marwar Crafts village. 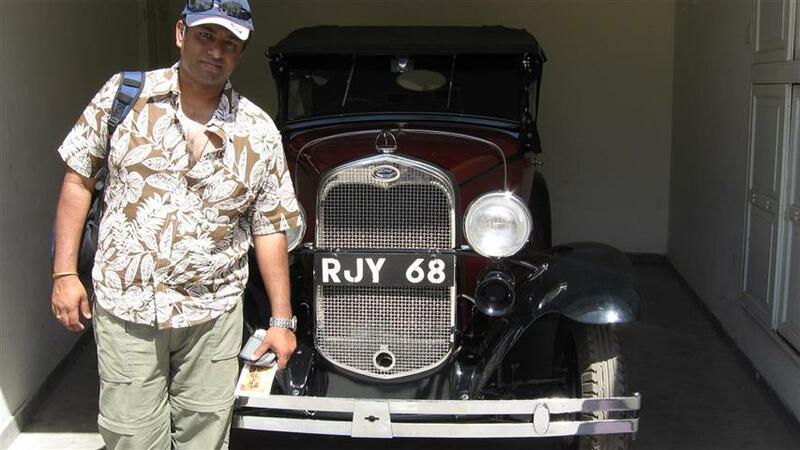 It is around 55 kms from Jodhpur and took us 6 hrs. A guide too accompanied us to help us out. Here we sad mud thatched roofed houses inhabited by the Bishnois and the communities of potters and weavers. The villagers were very warm and hospitable and we could see through their daily activities, making of pots and durries etc. We get refreshments here otherwise Rohet and Luni hotels on the way are good options for food. We just had a look ate the Salawas who were weavers of durries which they made using cotton and camel hair. Interesting! Kakuni where pots were made. Back to our hotel the next day we set out for Kumbalgarh. Jodhpur - Falna - Sadri - (we took a turn and passed through some villages built under Prime Minister's Rural Roads program to take a short cut) - Gaud - Jwali - Nagod - Desudi - Katwara - Charbhujia - Khelwara - Kumbalgarh. 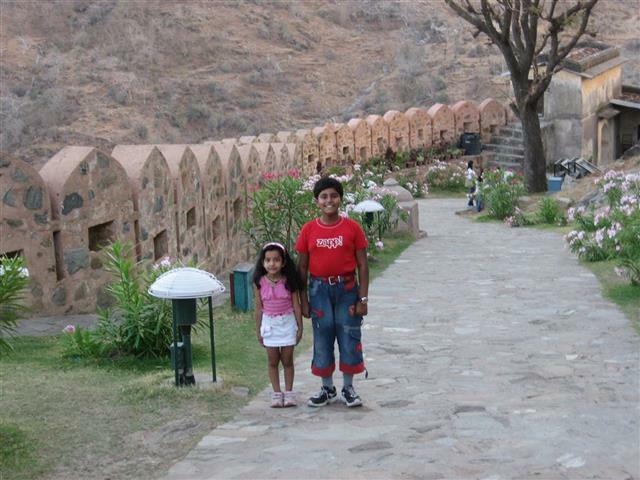 In Kumbalgarh our stay was at the Club Mahindra Fort Kumbhalgarh, which is perched in the middle of thirteen mountain peaks of the Aravalli range. We reached the resort at around 3.30 pm and after a quick shower we moved out to see the Kumbalgarh fort just 5 kms from here. 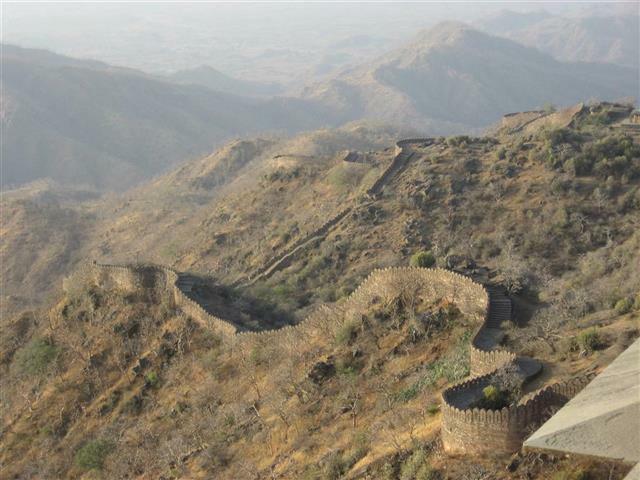 The Kumbalgarh fort is housed within the second longest wall in the world, measuring an impressive 37 kms with seven gates and 25 feet thick ramparts. This incredible wall structure also houses three palaces and over 300 temples. These magnificent pieces of architecture stand as a reminder of the Mewar culture, renowned for all that was best in Indian martial and fine arts, architecture and learning. Now as we move in we come to a steep climb up a narrow road that leads to the entrance of the fort. The walk tires off your legs so why not take a break and click a few shots. When so a guide came up who went on to say that - It was here infant Prince Uday was robbed from Bundi and hidden in these chambers by his faithful nursemaid Panna Dai to save him from his treacherous Uncles. 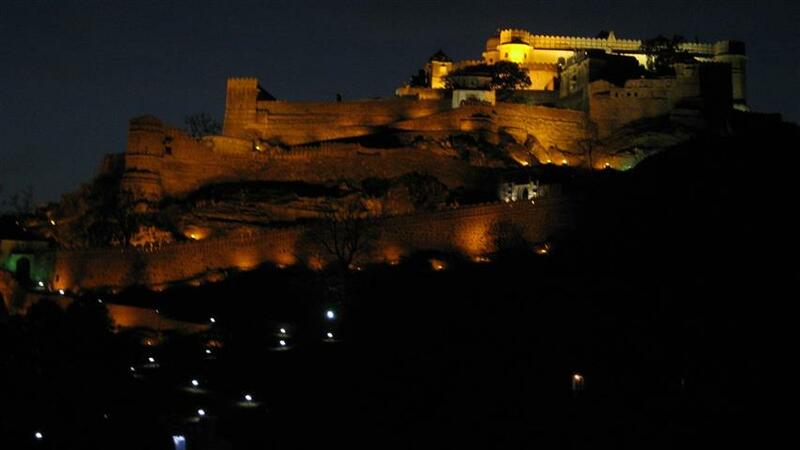 He then went on to ascend the throne of Mewar and made Kumbalgarh his residence to establish the new capital of Udaipur. This place is called Nimboo Pal and is on the western side of the last gate. Hey we have learnt all this in our history classes but just do remember them faintly. This fort could not be captured by anyone not even the Mughals so they sought help of Delhi and Amber and Marwar to launch an attack. Moving on the Hanuman Pol has a shrine of Lord Hanuman. Topkhana or the canon gate has a underground passage which is connected to a secret escape tunnel. Well we didn't see that, we were told so. 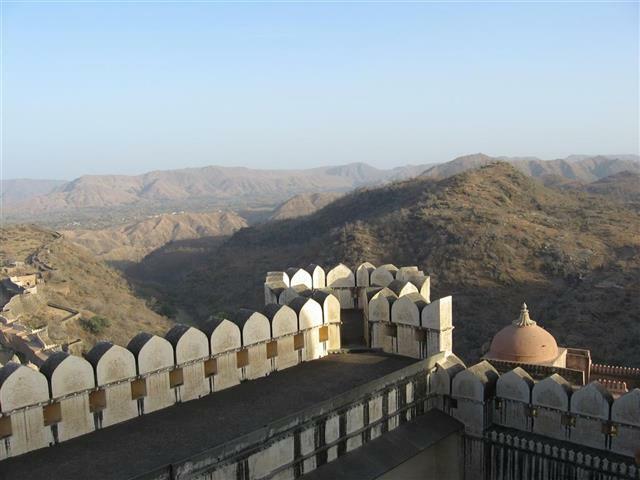 Kartargarh is a fort within Kumbalgarh fort which was built by Maharana Fateh Singh. The Aret pol is the first gate to enter the fort and it is said that they used mirror signals from here in case of any emergency. As a part of the backup plans the fort has a underground passage leading to the secret tunnel near the fifth gate incase an enemy entered the fort. Hulla Pol or the Gate of Disturbance is where the war with the mughal army took place. The canon can still be seen on the gate. We even visited the Neelkanth temple where Maharana Kumbha did his daily worship before the idol of Kuber (god of wealth) and the Shiva temple with a 4 ft shivalinga. The shivlinga of this temple is made of kasoti stone which is used to test real gold. There is a small shop selling tea and snacks below the fort and there is a souvenir shop too. 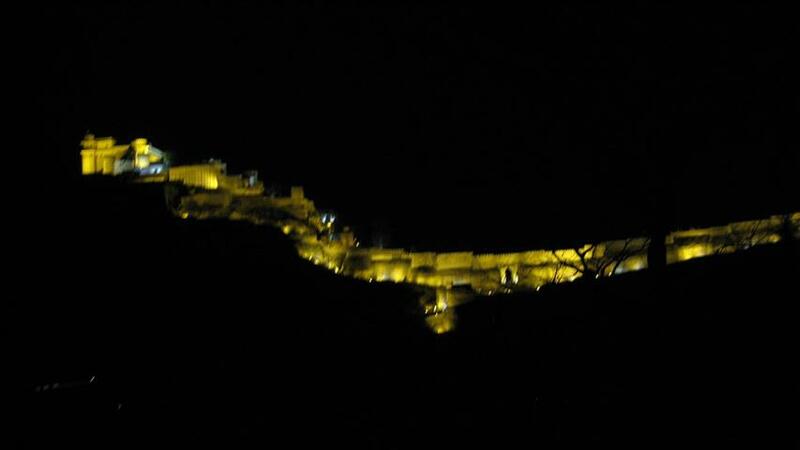 After dark the Kumbalgarh fort is lit and the view is breath taking from the temple. After a few shots of the lit Kumbahlgarh fort we returned back to our resort to carry on to Udaipur the next day. 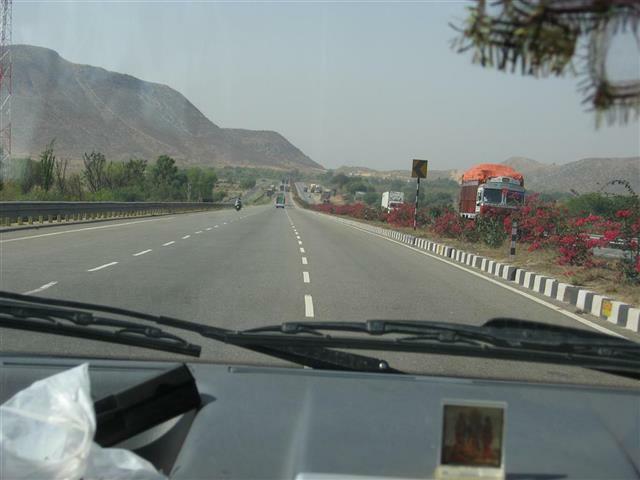 Morning we move to Udaipur ( Kumbalgarh - Udaipur distance is 84 kms). Udaipur is a beautiful city. 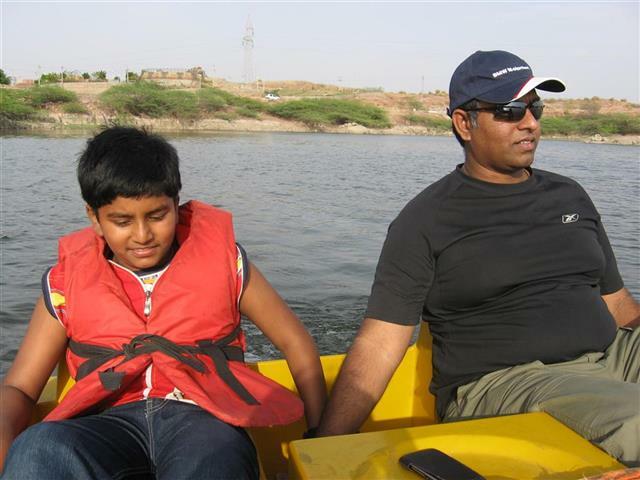 A lovely land around the azure lake pichola in the lush Aravalli hills. 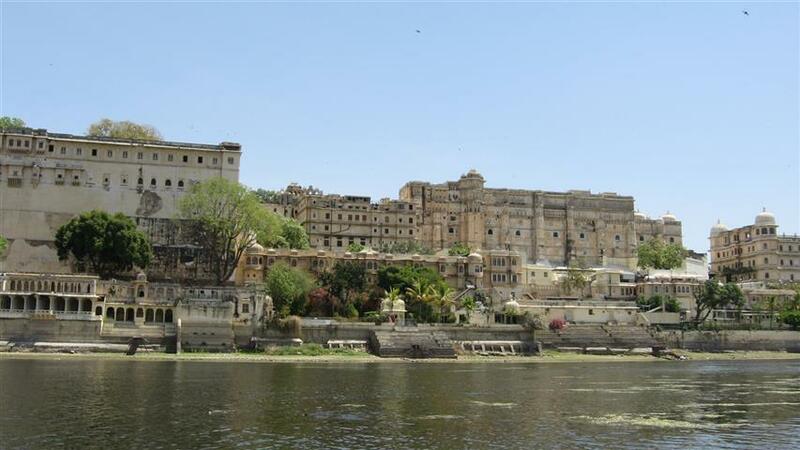 The capital of the Ranas of Mewar was founded in the 16th century, the fairy tale palaces on th banks of the Pichola lake is spectacular as one takes a short boat ride around from Bansi Ghat for Rs 50. . The magnificent City palace and the lake palaces appear to be floating in the lake. 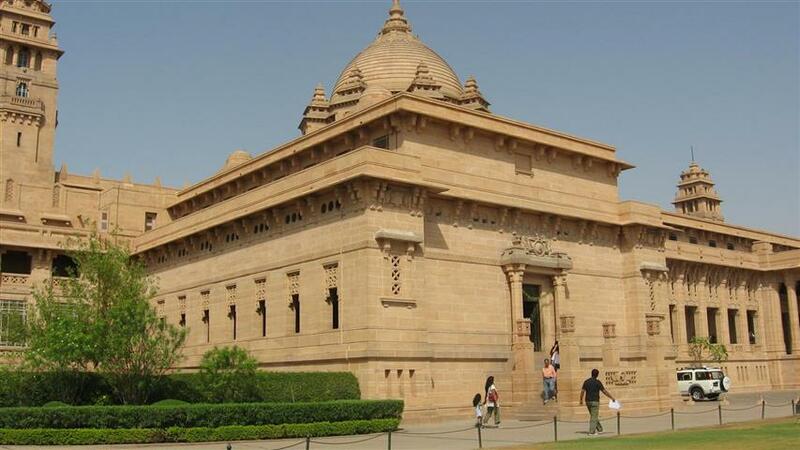 There is also a very pretty garden along with the temple of the gods including Nathdwara nearby which is also known for its high quality pichwai paintings. 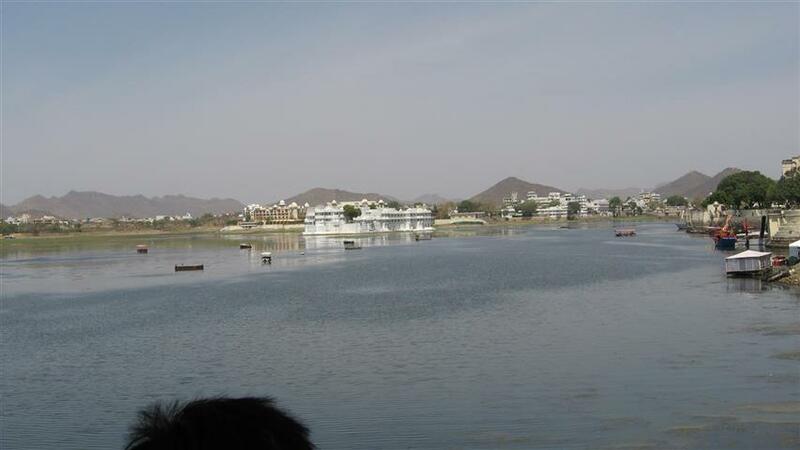 The lake palace or Jag Niwas was built by Rana Jagat Singh II in 1730's floating on Lake Pichola. It is now converted into a hotel managed by the Taj Group. Overlooking the Pichola and adjacent to the City Palace complex is the Fateh Prakash palace which is also a hotel complex now. The Shiv Niwas palace faces the west which was also converted to a hotel in 1982 and is being run by Maharana Arvind Singh. 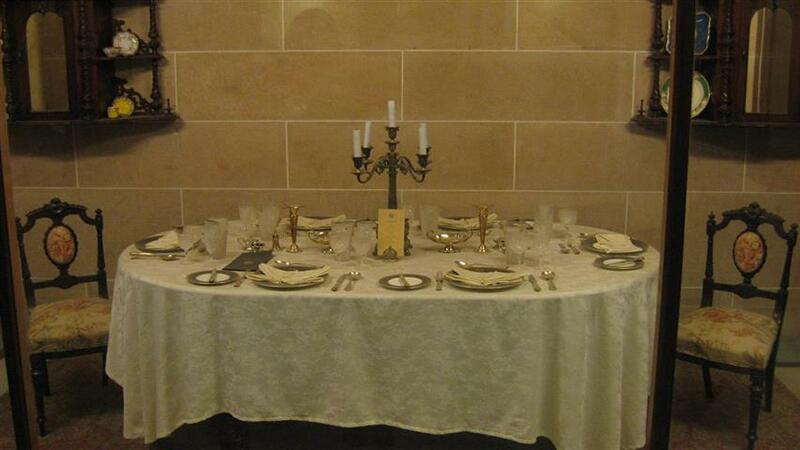 It was once the royal residence and guest house and is home to the splendid suite of Belgian crystal furniture. The City Palace and museum hosts one of the best collection in the world. Located on a hill overlooking Lake Pichola its surrounded by crenellated walls. Also known as the Raj Mahal we enter through a triple arched gate with a ticket of Rs 50 to witness the glorious and heroic Mewar times. Here special mention is to be made not only of the heroic Ranas but also of their queens who was steeped in valor to sacrifice their life if they lost their husband in the battle. The palace is pretty large and we need nearly 3-4 hours to walk through it completely and learn about the longest dynasty that existed once. A conglomeration of courtyards, pavilions, corridors, rooms and hanging gardens it appears to be one of the largest palaces of Rajasthan. Manak Mahal, Krishna Vilas, Moti Mahal, Chini Mahal, Surya Chopar, Durbar Hall, Zenana mahal are some of which we passed through to enter the museum which exhibits amours, weapons and artifacts. The place is a good place to see mirror work, glass work and collection of miniature paintings. The Pratap Museum has the famous painting of the Haldighati battle and Chetak the faithful horse of Maharana Pratap. Following we saw the Fateh Sagar lake which is a beautiful one overlooked by a number of hills. In the center of the lake is a garden island called Nehru Park. But it was closed. Gulab Bagh is a small garden of roses and it also has a library having some rare hand written manuscripts. 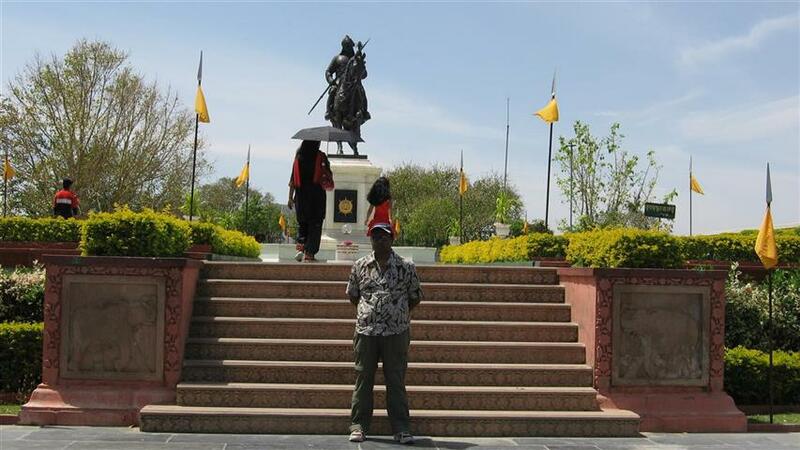 We then moved to Maharana Pratap Memorial built after the Maharana Pratap seated on his horse Chetak overlooking the Fateh Sagar lake. 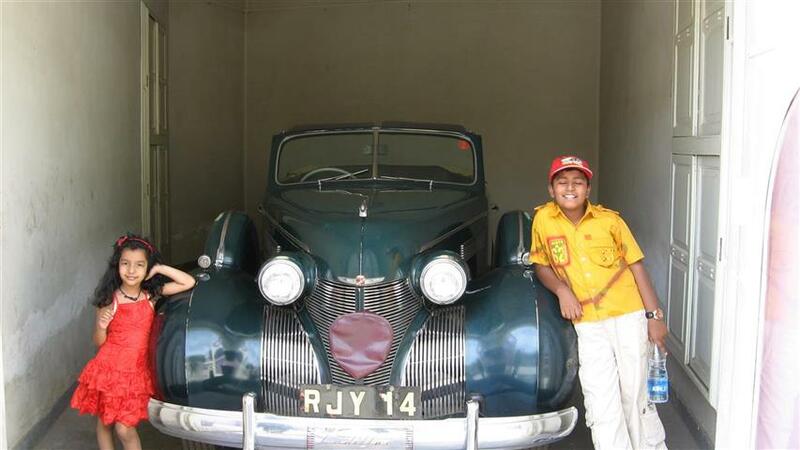 We then moved on to see the vintage car collection of the Maharana (Concern H R H Group Of Hotels ) Here once can take a tour of the vintage cars and savor a delicious Rajasthani thali together. Wow what a deal. The collection is housed in the original Palace Garage. One of the original Burmah Shell petrol pumps is not only still standing, but also in a usable condition. We got to see the magnificent Rolls-Royce, 1939 Cadillac open convertibles, rare Mercedes models, 1936 Vauxhall and 1937 Opel models.